Everything on the site is free with no strings attached. Choose the free printable stationery template that you would like to personalize, use our online stationery maker to customize it and then download the file to your PC. You can then print at home or have it printed at your local printer. Create cheap personalized stationery that looks like it cost a fortune. 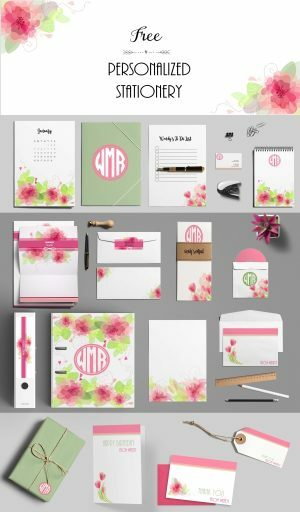 Why use our DIY customizable stationery? All stationery templates are free. 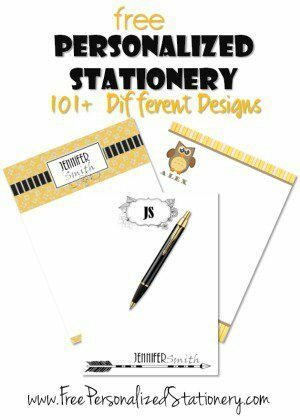 Free online stationery maker. No need to download software. The printable stationery paper is downloaded at a high resolution. Many free pretty stationery template designs available. Each page can be personalized – you can add your name, address and/or monogram. You can add your photo – use the photo stationery to write wedding thank you cards with a picture of the bride and groom. Print on demand. There is no need to print a batch so you can always have current stationery and print a different design for each use. Your style and mood might change so you can print a new design whenever you need to write a letter. You can print the paper any size. The size can be determined by your printer’s settings. You choose the paper that you want to print on. Either use regular computer paper or heavy textured card stock. 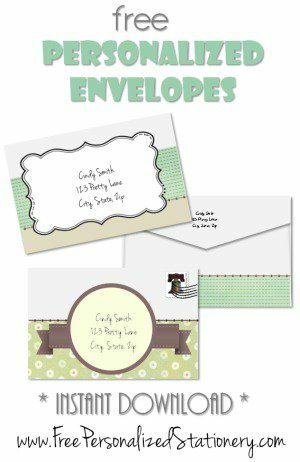 The site offers printable birthday invitations, writing paper, envelope templates, lunch box notes, save the date postcards and more. How to Create Personalized Stationery Cheap? Our personal stationery is free but you have to pay for the ink and paper. To cut down on the cost of paper you can use standard printer paper. Our designs are all pretty enough to look good on standard plain white paper. Look online for cheap printer ink refills for your printer. This site offers a large selection of free online stationery templates. If there is a product that you do not see here then please leave a comment below and we will add it to the collection.